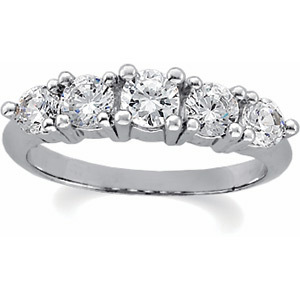 We carry a vast selection of bridal jewelry. You are sure to find the perfect rings to express your everlasting love for each other. Your rings signify your lifetime bond, and we select only the finest quality rings that will last for your lifetime together. You've found the perfect person. Let us help you find the perfect ring. 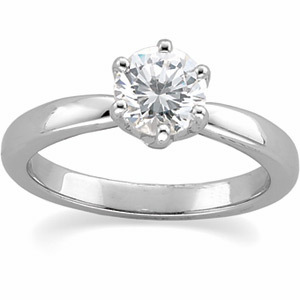 We have the largest selection, from traditional solitares to the latest styles. Every diamond in your ring, from the smallest side diamonds to the largest center diamond, is selected to meet C.W. 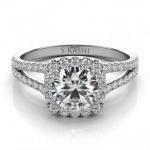 Smith Jewelers' strict quality and cut standards. It's a difference she will see every time she looks at her ring. There’s a reason her wedding ring is worn closest to her heart. We have the perfect wedding band to match her engagement ring, and we work with the finest custom ring manufacturers in the nation if a custom ring is her desire. It’s not just a band of gold. It’s your gift of eternal love to him. Chose from classic dome styles, diamond bands and laser engraved or patterned rings.